The Montecristo core line is getting a Nicaraguan addition. Altadis U.S.A. will be introducing the Montecristo Nicaragua Series at next week’s IPCPR trade show in Las Vegas. It’s the fifth addition the core line of non-Cuban Montecristos, which consists of Montecristo Classic, White, Original and Platinum Series. As with previous collaborations, Altadis has turned to cigarmaker A.J. 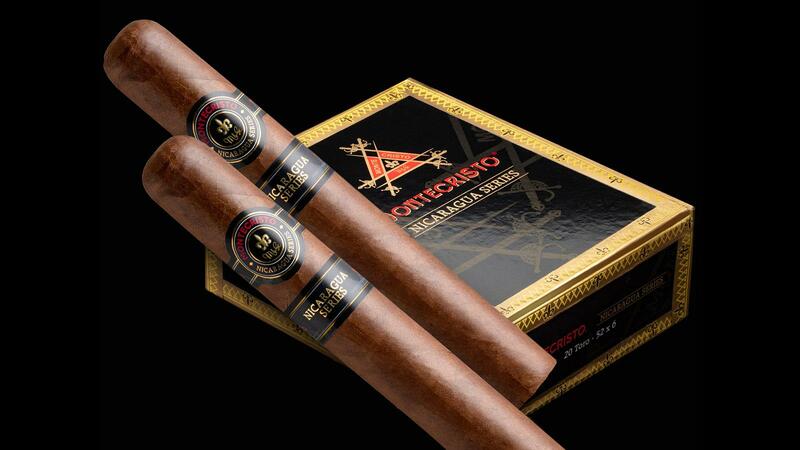 Fernandez to create the Montecristo Nicaragua. Blended with only Nicaraguan tobacco, the new line comes in four, heavy ring-gauge sizes: Robusto, measuring 5 inches by 54 ring ($11.75); Toro, 6 by 54 ($12.25); No. 2, 6 1/8 by 52 ($12.70); and Churchill, 7 by 56 ($13.70). The smokes are packaged in 20-count boxes and made in Nicaragua at the A.J. Fernandez factory. They will begin shipping on August 1. In addition to the standard fleur de lis, Montecristo Nicaragua Series wears a secondary band denoting the series. This is not the first time that Altadis has released a Nicaraguan Montecristo, however, it’s the first time that a Montecristo from Altadis’s core line has been made by a third party. Other collaborations such as the Monte by Montecristo A.J. Fernandez and the Espada by Montecristo (made by the Plasencia family) are not considered part of the core line of Montecristos. Like the rest of the core line, the Montecristo Nicaragua Series will have a secondary band denoting the series. The new cigar was conceived by Fernandez and Rafael Nodal, head of product capability for Tabacalera USA, Altadis U.S.A.’s parent company.